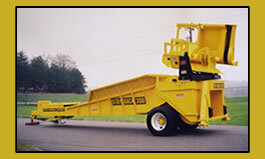 The DT-2500 has heavyweight single-beam construction, and is easily towable on the job site. 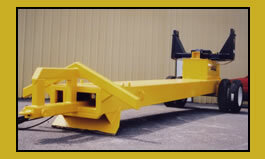 The DT-2600 has heavyweight dual channel construction and it can carry a slasher saw right on the chassis. 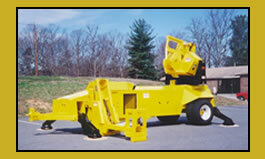 The IDT-2800 is a self-contained power unit including a diesel engine, hydraulic power pack, and radio remote which allows you to run our delimbers without attachment to loader hydraulics. 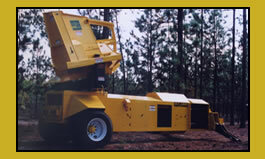 The IDT-3000 is a self-contained power unit like the IDT-2800, with an integrated slasher side saw. 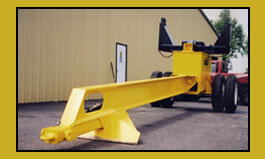 The FDT-6000 is a combination of a pull-thru delimber unit mounted atop a chain flail delimber, all on a mobile platform.